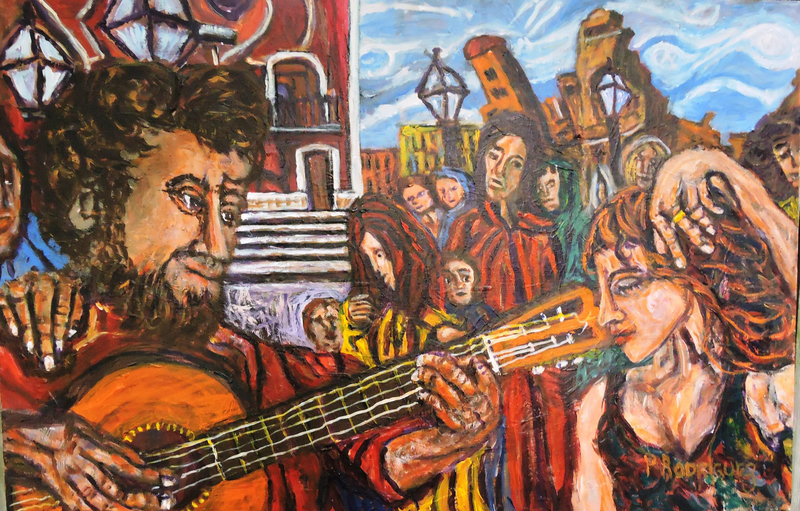 Untitled, painting by Pedro Rodriguez, Charleston, South Carolina. 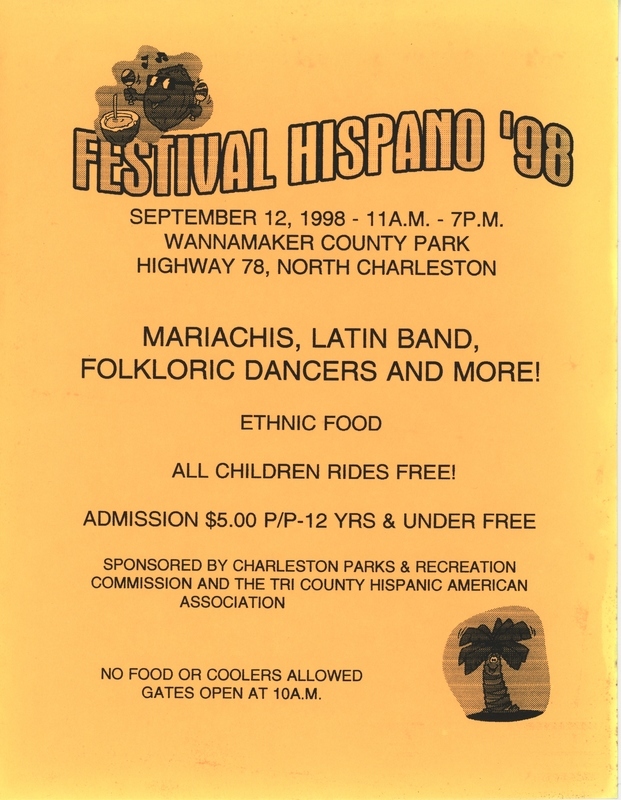 Hispanic Festival Flyer, North Charleston, September 12, 1998, courtesy of Lucy Cordero. Hispanic Festival was first held in 1992. The festival was a collaboration between the Charleston County Parks and the Tri-County Hispanic American Association. While Latinos continue to be underrepresented among the region's leaders in education, business, and politics, they have found more acceptance in the areas of art, music, and cuisine. Attendance at the annual Latin American Festival has grown steadily since it was first organized in 1992. “Art Pot,” a Spanish-language Hispanic theater group, made its debut in North Charleston in 2014, and the organization has grown into a multicultural center. Meanwhile a lively Latin Jazz and Salsa scene attracts a following that cuts across ethnic and generational lines. Dozens of popular Mexican restaurants have been joined in recent years by restaurants featuring Brazilian and Caribbean dishes. Many of these restaurants serve a white customer base. The region additionally supports several Spanish-language periodicals, such as El Informador, El Universal Latin News, and La Isla Magazine as well as a radio station, El Sol 980. In the coming years, local chefs, writers, painters, journalists, and musicians will continue to express the diverse experiences and values of the Lowcountry's Latino communities. They will articulate the hopes of area Latinos and make plain their demands for fair treatment in the region's schools, neighborhoods, and places of work. Broader community acceptance on the cultural front will likely precede the more elusive and difficult quest for Latino political power and social equality.